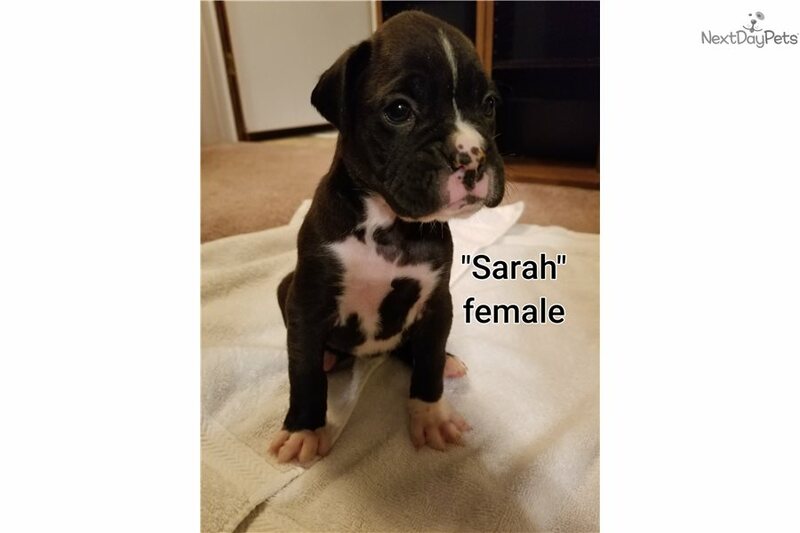 This Boxer nicknamed Sarah sold and went to a new family. AKC registered pup from a litter of 9. Born October 26th and will be ready to go to new homes December 21st. Appointment is scheduled the morning of the 21st for shots and already been dewormed. Tails have been docked and dew claws removed. Both parent dogs are on site and very tolerant of 4 year old child in home. Pups will be well socialized with adults as well as the kiddo. Accepting deposit to hold pup!